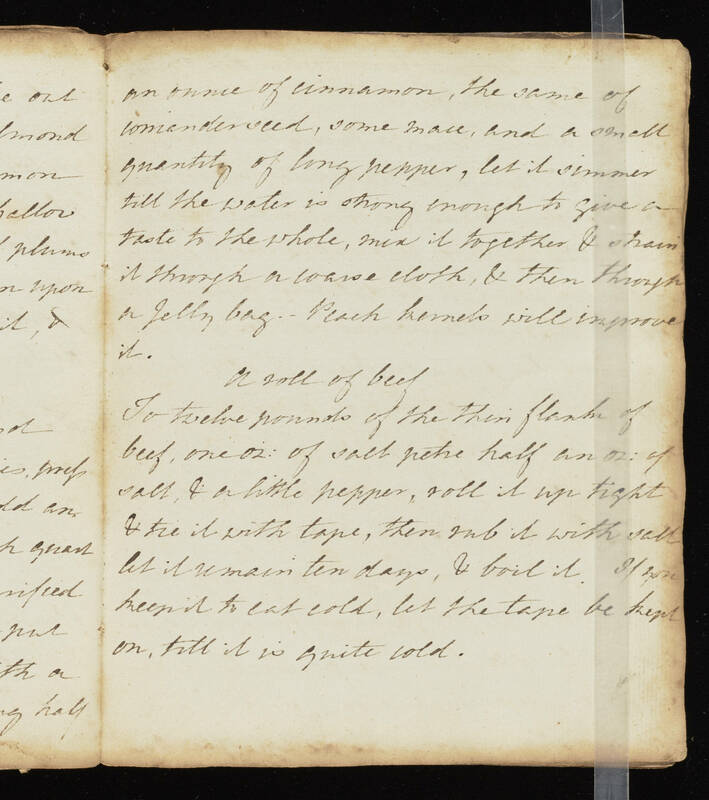 an ounce of cinnamon, the same of coriander seed, some mace, and a small quantity of long pepper, let it simmer till the water is strong enough to give a taste to the whole, mix it together & strain it through a course cloth, & then through a jelly bag. Peach [illegible] will improve it. A roll of beef To twelve pounds of the thin flank of beef, one oz. of salt [illegible] half an oz. of salt, & a little pepper, roll it up tight & tie it with tape, then rub it with salt, let it remain ten days, & boil it. If you keep it to eat cold, let the tape be kept on, till it is quite cold.